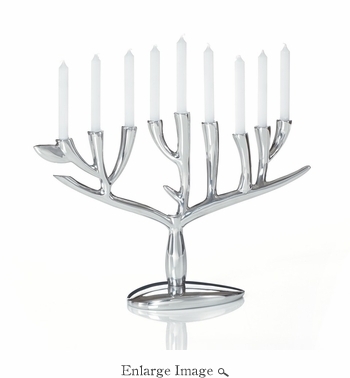 Celebrate Hanukkah with this wonderfully stylish menorah. This handsome piece embodies the modernist embrace of clean, straightforward shapes and lines, while echoing more traditional depictions of the iconic symbol. The Tree of Life Menorah is destined to be treasured for generations to come.